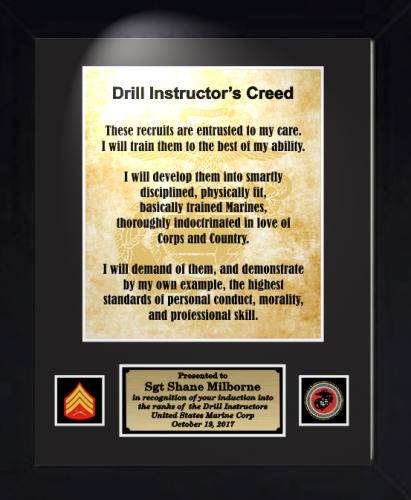 Custom framed Military Creeds. 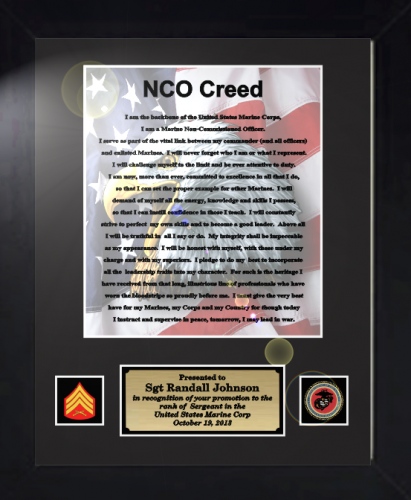 Each is personalized with your message. 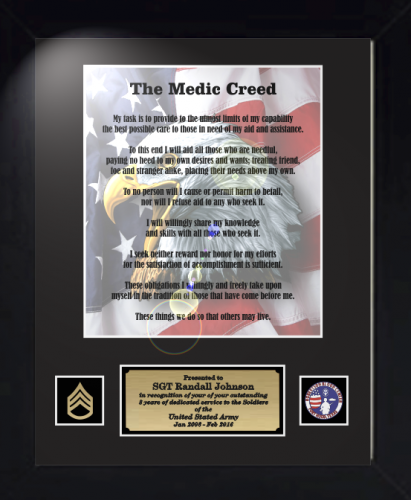 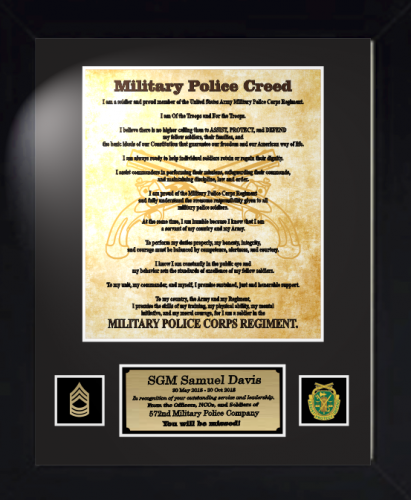 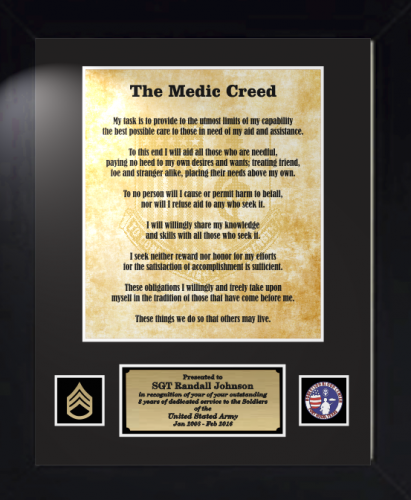 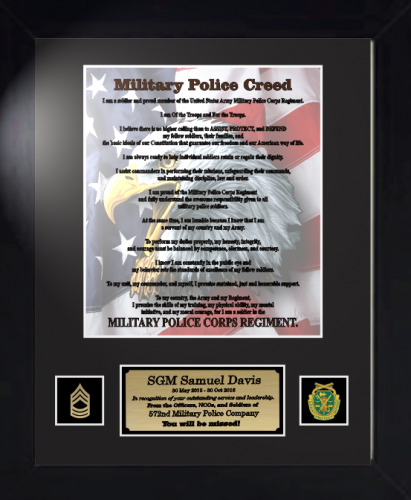 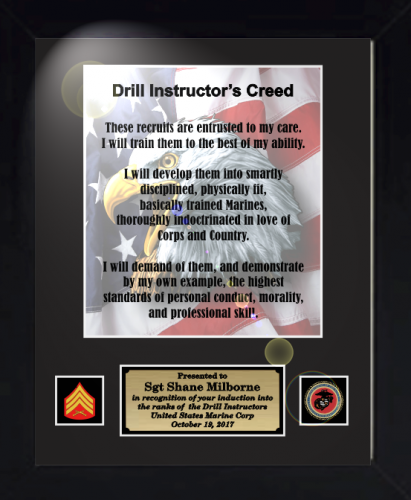 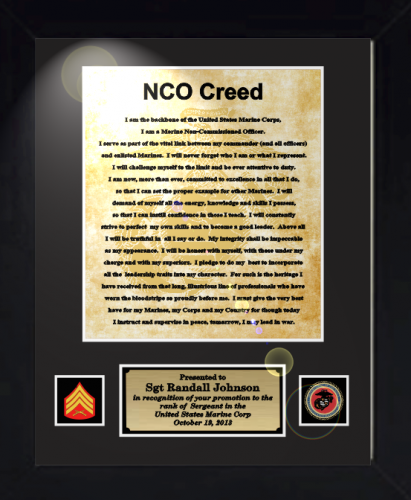 We offer choices of framing, mats, and engraving plates.Choose from the Army Military Police Creed the Warrant Officer Creed, Army NCO Creed, Soldier's Creed, Airman's Creed, Airborne Creed , Special Forces Creed, Coast Guardsman's Creed, Marine Corps NCO Creed, Marine Corps Rifleman's Creed, Ranger Creed, Sailor's Creed, Army Ordnance Creed, Medic Creed. 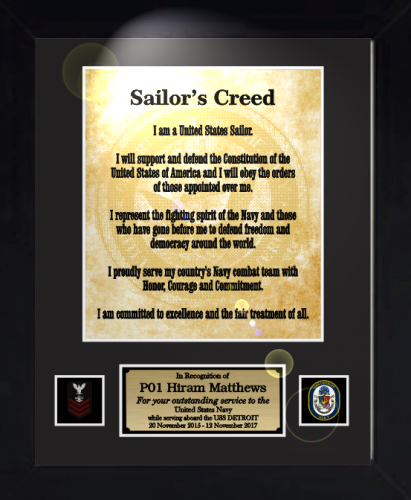 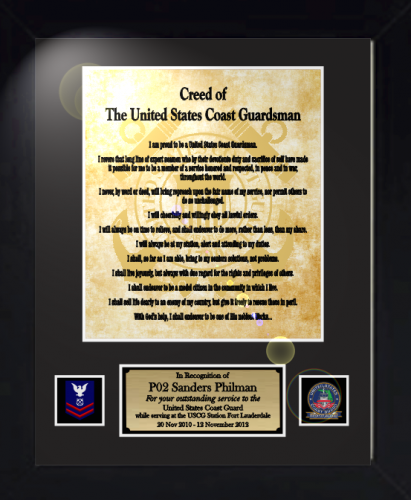 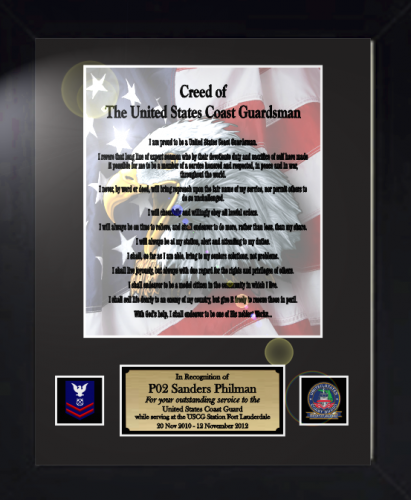 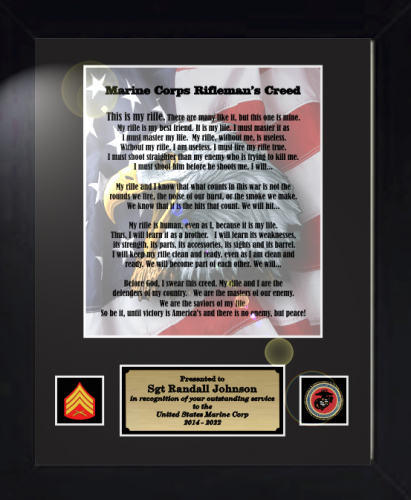 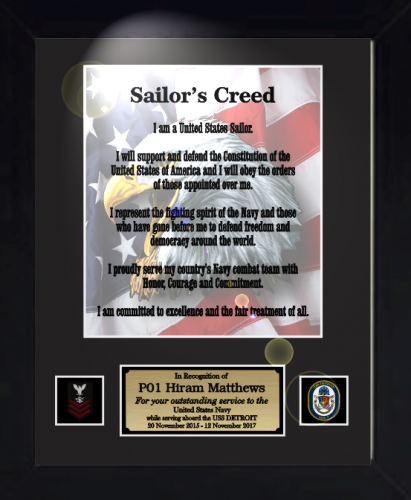 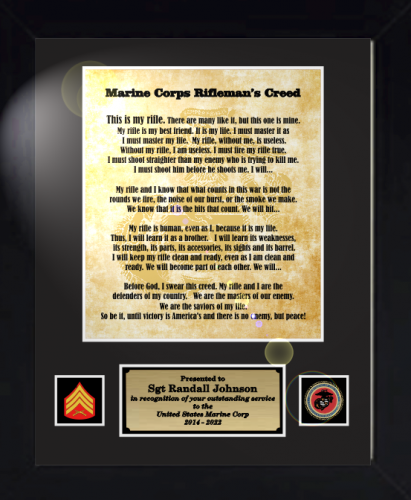 We offer the Sailor's Creed with a choice of a Eagle/Flag background or a "parchment look/watermark" background (click on the smaller picture).